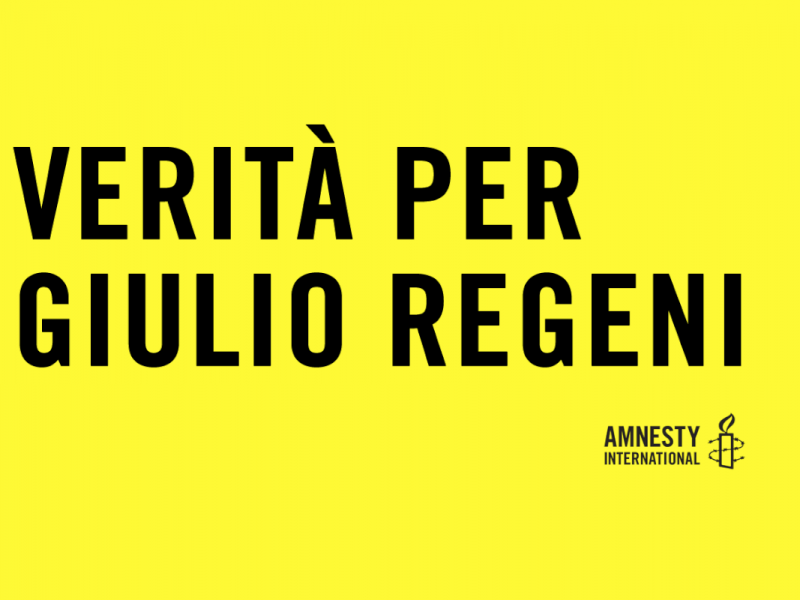 Amnesty International campaign which reads ‘Truth for Giuliu Regeni.’ Used with permission. On September 5, Egypt and Italy officially resumed diplomatic relations after a year and a half, installing Italian Ambassador Giampaolo Gantini to his Cairo office soon after on September 14. Bilateral relations between Rome and Cairo deteriorated when the tortured body of Italian Cambridge Scholar Giulio Regeni was found in Egypt, a murder widely believed to have been committed by state security forces. In response, Italy recalled then Ambassador Maurizio Massari and appointed Gantini as a non-resident in May 2016. Regeni had been researching trade unions in Egypt when he was kidnapped, tortured and ultimately killed. It was revealed that Egyptian police had detained Regeni and then transferred him to a compound run by Egypt's homeland security the day he was kidnapped, a fact previously disputed by Egyptian security services. Meanwhile, Egypt's security forces have reportedly targeted the Regeni family's legal team, arresting Ibrahim Metwally Hegazy, the family's Egyptian lawyer, on his way to a United Nations meeting on enforced disappearances. Hegazy was charged with “managing an illegal group, spreading false news … [and] cooperating with foreign organizations” and faces up to five years in prison. The arrest led to suspicions that Rome may have ulterior motives in downplaying Regeni's case. 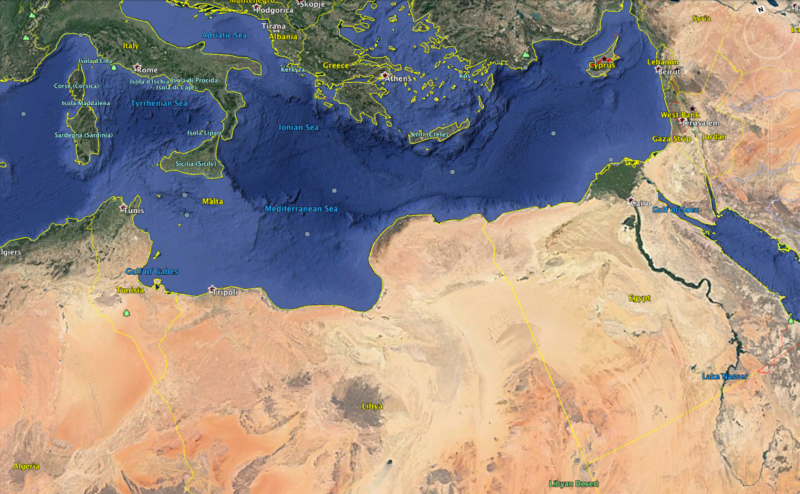 Critics have argued that Italy's lenience toward the Egyptian government's handling of the case is a sign of their growing interest in Egypt's influence over North Africa and its role in migration control. 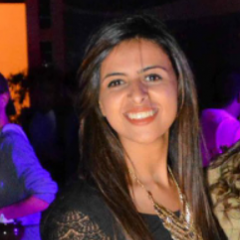 Why would Italy want to silence the murder of one of its citizens in Egypt? The links are complex. Like the rest of the EU, the topic of migration in Italy remains a sensitive topic. A steady influx of migrants to Italy comes predominantly from Niger and Libya due to proximity. Italy recently proposed the Migration Compact to improve cooperation with African countries through a plethora of schemes in an effort to strengthen border control and reduce migrant flow. Italy must maintain strong diplomatic ties with Egypt in order to negotiate migration flow with Libya through the Libyan coastguard. This involves a complex process under the authority of Libya's Government of the National Accord (GNA) which receives Italian ships and EU training. Khalifa Haftar, head of the self-proclaimed Libyan National Army (LNA), is known to be one of Egypt's strongest allies. Haftar and the LNA currently exercise full control over the Eastern part of Libya that stretches from Benghazi to the Egyptian border. If Italy wants to block or curb migration from Libya, it will need to secure friendly relations with Haftar and his Eastern government in order to establish diplomacy with the Italian-patrolled Western zone. Therefore, Italy aims to capitalize on Egypt’s alliance with Haftar without risking an explicit intervention that could trigger discontent from Libya’s Western GNA. Rome officials acknowledge Egypt as “an unavoidable partner” with whom it is “impossible not to have high-level political and diplomatic relations,” explained Italian Foreign Minister Angelino Alfano, according to Human Rights Watch. Normalizing ties between the two countries along with Alfano's statements led to questions about Italy's complicity in silencing Regeni's murder investigation. Regarding Regeni's murder, the Egyptian government strongly denies any culpability from its security forces and has accused other parties of the crime. In March 2016, five Egyptian men were shot dead after being convicted of kidnapping and murdering Regeni, only to be later found innocent. Given Egypt's stifling approach to the investigation and Italy's motives for maintaining diplomatic ties with Egypt in favor of an effective migration policy, supporters of Regeni worry that these formalities will frustrate justice and the case will be eventually disregarded.